A training ride is being organised by Horwich CC this Sunday 23rd September. It starts from Rivigton Lower Barn Cafe at 9.30am . 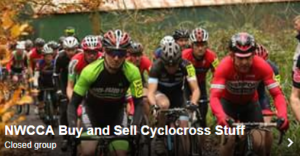 It is an off-road social training ride, not an organised cyclocross event; as such there is no insurance for it, and it costs nothing to come along. The ride will take about 4hrs – mostly off road. It is VERY scenic, purple heather, views to Southport, Pendle Hill, Wales and the 3 Peaks!!! !Â THe course is similar to the 3 Peaks but much more ridable, the hills are not as steep but it is hilly! It’s an enjoyable test, it catches up on you bit by bit, taking in Rivington Pigeon Tower, Ramsbottom Peel Tower and Turton Tower. Bring a cape and helmet and food in your pockets.Â Cross bikes are generally best, MTBs okay.